Negotiations that could produce a historic peace agreement in Colombia and end the world’s longest-running civil conflict enter the final stages starting next week. And there won’t be any stopping before the finish line. President Juan Manuel Santos and the government’s peace negotiation team met in Cartagena this week to discuss the remaining steps towards a final agreement with the Revolutionary Armed Forces of Colombia (FARC), the world’s oldest active guerrilla army. “The purpose of this exercise is to thoroughly review the different steps needed to arrive as quickly as possible at the end of the conflict, to arrive as quickly as possible at an accord with the FARC,” said Santos on Thursday afternoon. The issues left to be decided mainly involve the way in which the FARC will arrive at a ceasefire and lay down weapons. Santos also explained that the team, which includes military and national security leaders, is working on a plan to ensure security in areas with strong FARC presence as well as in rural areas in general. The statement came in response to tough critiques from Human Rights Watch, an international non-governmental organization, regarding the agreement on victims announced as part of the peace talks in December. The victims agreement deals with how FARC rebels will be tried and punished for crimes, including crimes against humanity. According to the peace process document released Dec. 15, former FARC members who cooperate with a special Peace Tribunal would face no more than eight years of “effective restraint of liberty” for most violations. “No international tribunal has allowed convicted war criminals to evade prison for these types of serious crimes,” said Human Rights Watch’s Americas Director José Miguel Vivanco in a statement released last month. 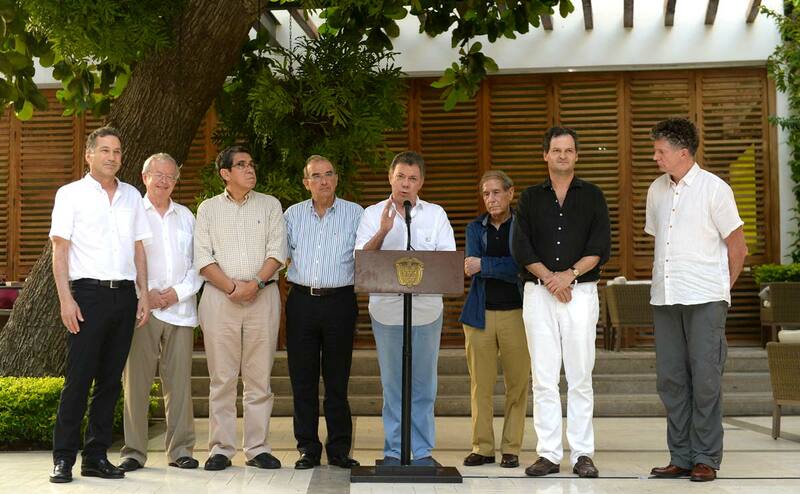 Colombia’s peace team responded to the criticism in a letter this week. On Wednesday, President Santos added that international experts had been “pleasantly surprised” by the peace agreement so far. Peace talks reconvene in Havana on Monday after a holiday break, and there won’t be much time for rest in the upcoming weeks and months.